There will be a working party for the willow sculpture on Sun 3rd Feb at 2pm. Please bring gardening gloves and loppers if you have them. 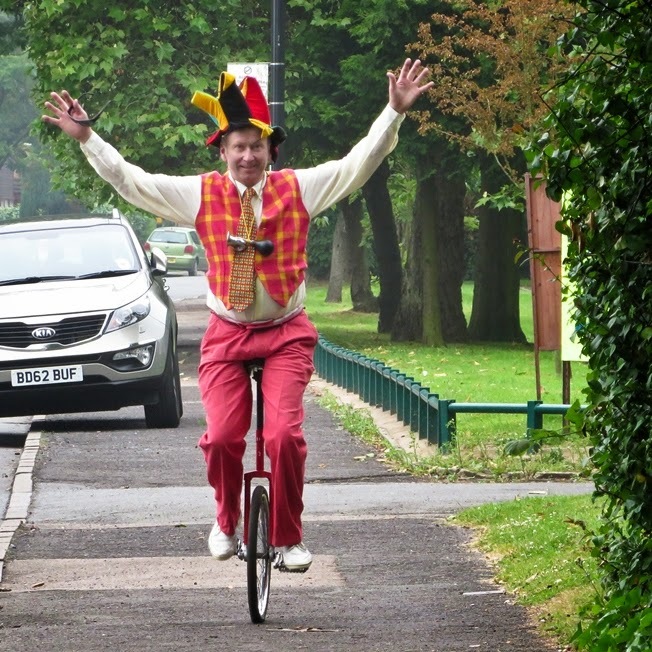 Meet by the park keepers lodge on Gibbins Rd. 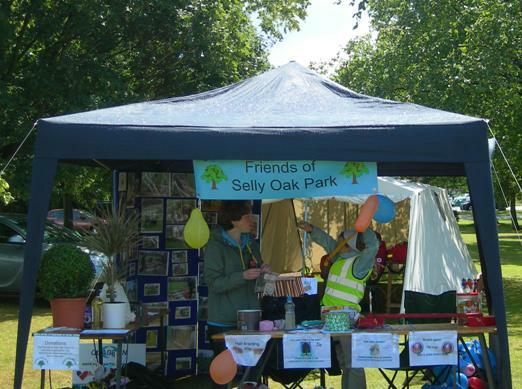 This year's Selly Oak Festival will on on Sat 23rd June. We are now taking booking for stalls. You can download the booking for here. Junior Football Tournament (from 10am). 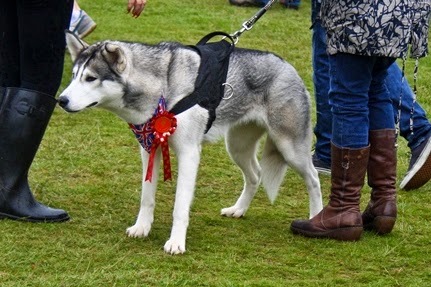 Dog show (registration from 10:30, show starts 11:30). BBQ, Ice Cream, Coffee Van. Community, charity and comercial stalls. Time for a trim. Weaving and cutting sessions on 20th and 27th Feb 10-12. Meet by the Willow on Gibbins Rd. Bring stout gardening gloves and loppers if you have them. 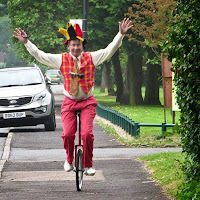 Sat 3rd February and sat 3rd March 10 am at the Park Keepers Lodge. 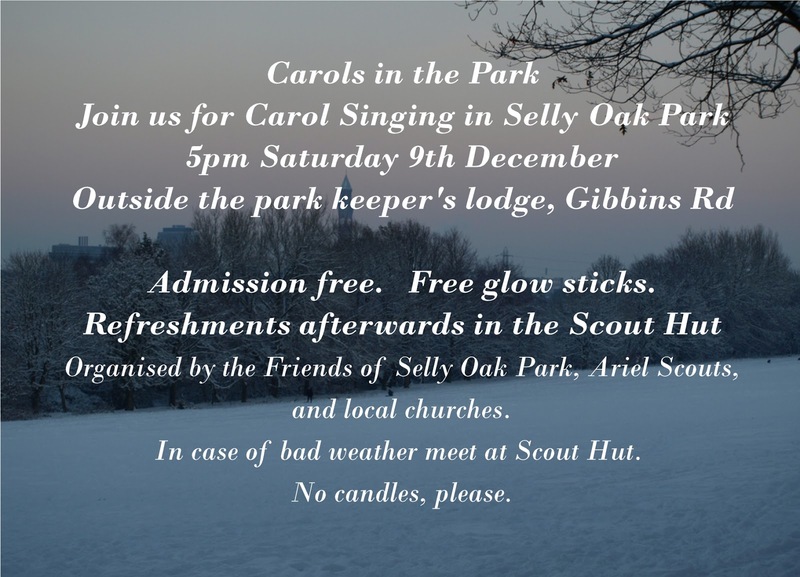 Join us for traditional carol singing around a illuminated tree in Selly Oak Park. 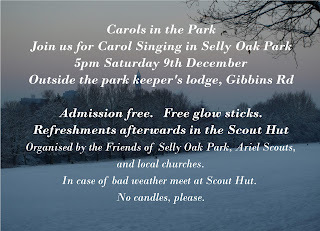 Followed by hot drinks and refreshments at the Scout Hut on Gibbins Rd. 200 more lights for the tree. Single key with circular metal key fob.